For those have you who’ve been following us closely over the last year, you’ve probably noticed that we’ve been onboarding TONS of new high and medium resolution satellites! With all of these changes, we’ve posted countless updates and understandably you may have missed some of them. 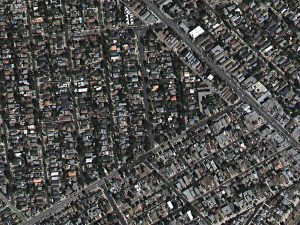 In this short piece, we’d like to provide some clarification around TripleSat imagery and the resolutions available to you. 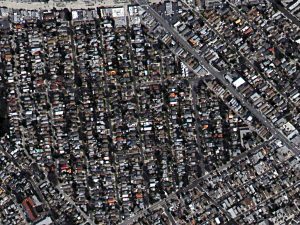 At nadir or when the satellite is pointing straight down at the ground, TripleSat imagery is about 96-centimeter (cm) resolution. So in the past, when TripleSat was only offered at 1-meter (m) resolution, you were not able to take full advantage of its maximum clarity. Recently, 21AT (who operates the TripleSat constellation) started offering 80-cm resolution which allows you to take full advantage of TripleSat imagery. The best part is that this 80-cm imagery comes to you at no additional charge over 1-m data, so it’s really a no-brainer! If you have more questions about TripleSat or the any other satellite imagery available through Apollo Mapping, don’t hesitate to reach out to us at sales@apollomapping.com. This entry was posted in The Geospatial Times and tagged 1-m, 80-cm, monthly spotlight, The Geospatial Times, TripleSat by Apollo Mapping. Bookmark the permalink.